Years ago, Caroline Wozniacki was dominant, taking out pretty much everyone, except against her good friend, Serena Williams, the best player, ever. Wozniacki was No. 1 for a couple of years. The one missing component was the lack of a major title. So, so eventually, she faded out of the Top 10. The Dane has always played frequently, week after week, hour after hour, and rarely gives up. Clearly, she can be stubborn, which is why it has taken her a long, long time to change and improve her so-so forehand. Other holes in her game: rarely coming to the net and not leaping on the second serves. 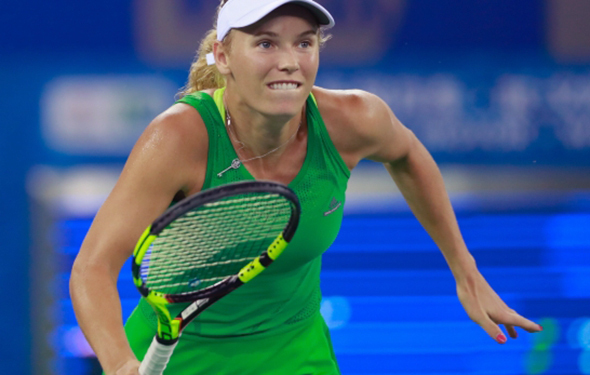 On Wednesday, at the WTA Finals in Singapore, Wozniacki played nearly perfect, blowing out the No. 1 Simona Halep 6-0, 6-2. The Romanian can play as well as Caro can. Right now, the Romanian need more mental strength. It seems that she thinks she is going to lose, inside. That is why she has yet to win a major — yet. Yes it was. Wozniacki has been very healthy and happy this season. She bowed out in six finals this year. Then, it took her nine month to win an important tournament, finally prevailing in Tokyo in September. She was ticked off her abysmal final record, but kept pushing herself. On Wednesday, she was super consistent — as always — and she attached the ball. “I didn’t expect to be leading by that much in the first set and I started to think’ ‘What’s happening? Am I really playing that well?,’ ” Wozniacki said. The Dane has won 58 matches this season. Perhaps she will end the year with 60 victories. Without a doubt, Wozniacki has a decent shot to capture the WTA Final. There have been a few boring matches in Singapore, contrasting with a couple fantastic contests. In the third set, the Frenchwoman Caroline Garcia was down, but then she rose and upended Elina Svitolina 6-7(7) 6-3 7-5. Garcia was shaky two days ago, but this time, she wasn’t nervous and when she needed to, she went for the lines. She is muscular and she has been around for the past five years, up and down on court. In the past six months, she began to build point, and move better inside the court. On Friday, Wozniacki and Garcia will play their final match. Wozniacki is 2-0 and has qualified for the semis. This will be a fun match, because Garcia is in the year-end tournament for the first time and still can advance. Halep knows that,in order to stay at No. 1 at the end of this year, she has to reach the semis. She got a bump in the contest to be year-end No. 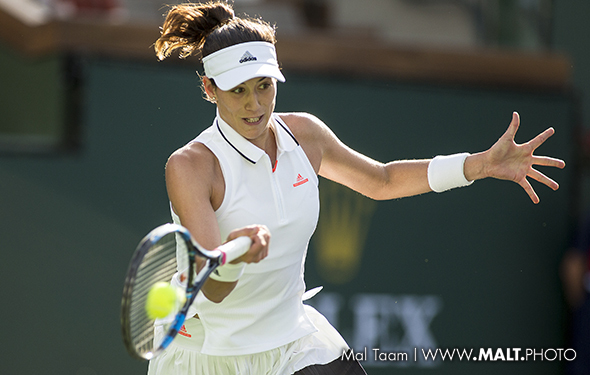 1 when Garbine Muguruza lost to Venus Williams. No. 3 Karolina Pliskova is 2-1 after losing to Jelena Ostapeno but will move into the semis. 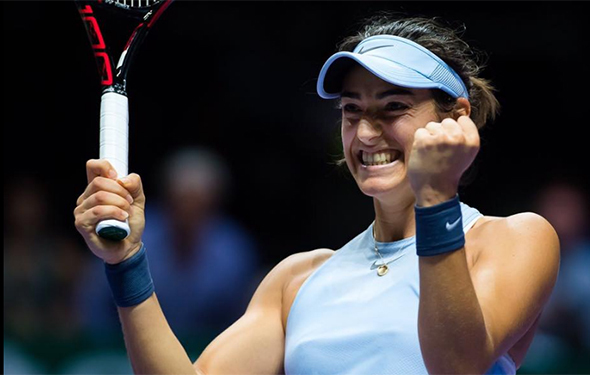 Without a doubt, there will be a couple tremendous match-ups in Singapore at the WTA Finals, but on Sunday and Monday, in four matches, it was so-so at best. Caroline Wozniacki crushed Elina Svitolina 6-2 6-0 in less than an hour. Wozniacki was enjoying a wide variety of tactics and going from very patient to very aggressive. Ukrainian Svitolina was mentally gone, from the first point. 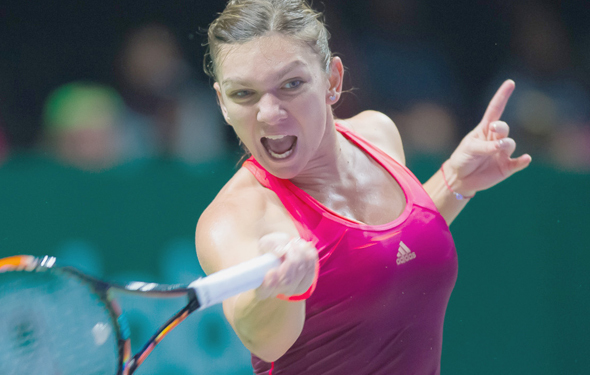 Simona Halep can slip into states of being very nervous, causing her to lose focus. But not against Caroline Garcia. Halep controlled the match, winning 6-4 6-2 . Halep yanked her from side to side, hitting the lines and moving forward whenever she could. Halep rarely gets tired, running fast and long. When she was into it, she can swing hard with her both of her strokes. Garcia has been on fire during the past three weeks and is very happy that she reached the WTA Finals for the first time. But, the letdown is taking effect as she knows that much of the world is watching her for the first time. The Frenchwoman needs to calm down and mix it up, here and there. Halep wants to keep her newly found No. 1 ranking, which means she has to at least reach the semis. It is possible that she will face Garbine Muguruza, the No. 2 (who won yesterday) who also badly wants to become the topdog. There will be an incredible battle coming up. On Tuesday, Venus Williams will face Jelena Ostapenko, and Muguruza is set to battle Karolina Pliskova. Two former No. 1 players will clash. Hopefully, they can smack at each other for three fun hours.